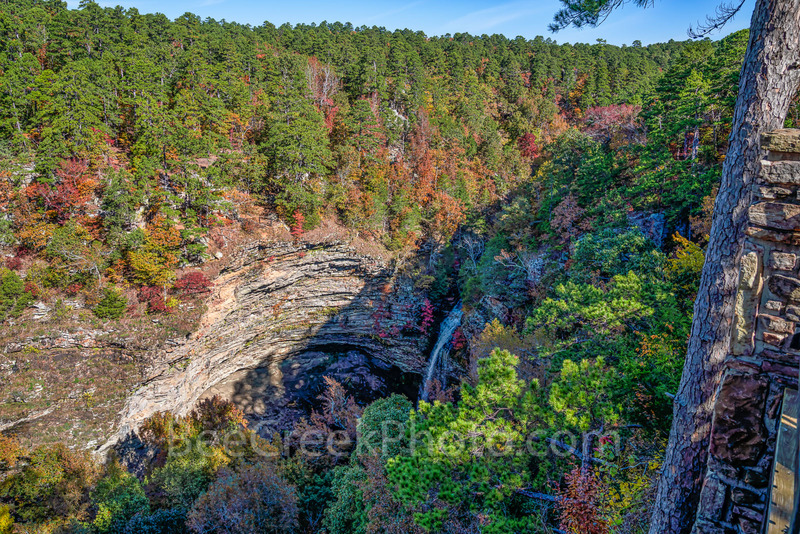 Autumn at Cedar Falls - A cedar fall drops down over the cliff where you can see a variety of colorful trees on it journey to the river below for some wonderful scenery. This scenic area native trees contains an abundance of the many cedars, and pines like the southern yellow pine but also included are the sugar and red maples, the oaks, black hickory along with a pop of red from the sweet gum tree through out the hill side in the fall season. The waters flow from upstream where Lake Bailey is dammed in the Jean Petit Park over the cliff.